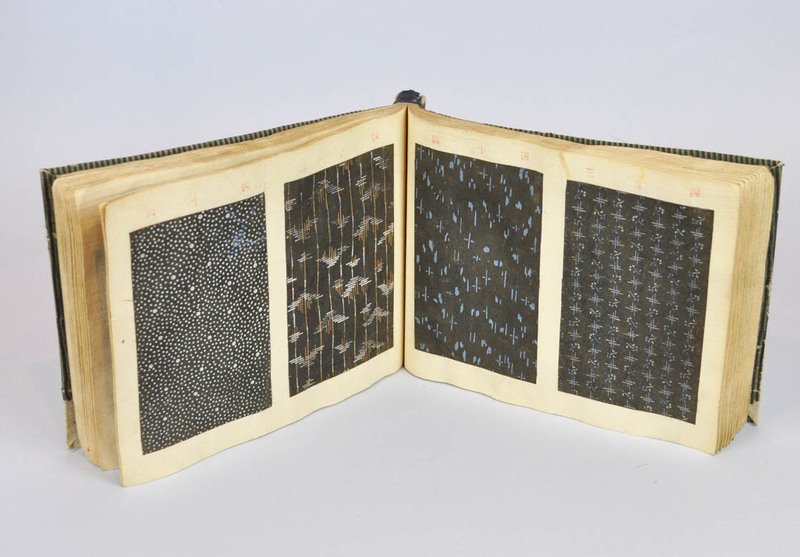 Title: Komon chō (Collection of small patterns). One volume, complete. 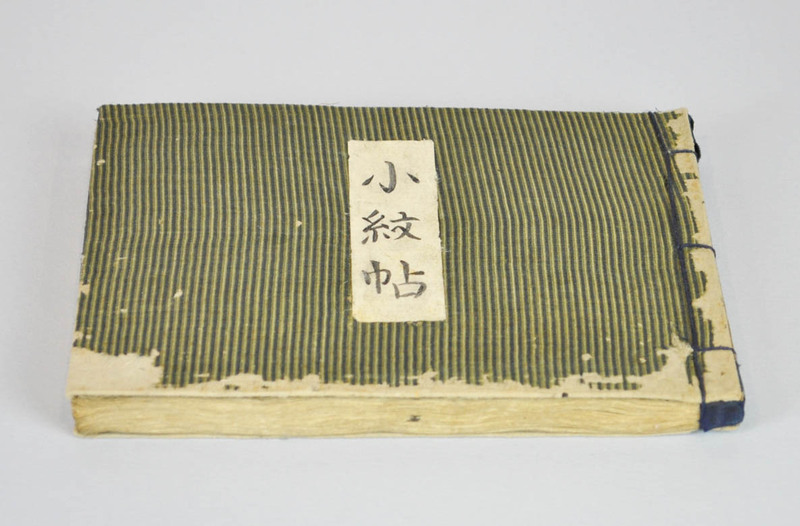 Description: A sample book with 90 numbered textile samples with small decorative designs (komon) printed by stencil (katagami) on paper, mounted on 45 pages. Literature: For a discussion on this kind of book see the chapter by Nagasaki Iwao, Designs for a Thousand Ages: Printed Pattern Books and Kosode in Gluckman & Takeda, When Art Became Fashion Kosode in Edo-Period Japan. New York 1992, p.111-112. Conditions: The cover rubbed otherwise in very good conditions.